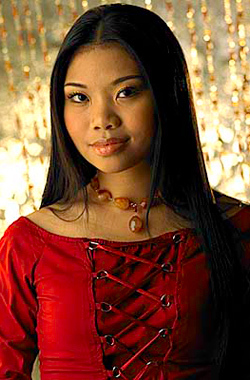 Nikki Palikat, is a Malaysian singer from Tambunan, Sabah, and a finalist in the first season of Malaysian Idol. She is known for her vocal belting and her ability to sing in the whistle register. Nikki was born in Berrien Springs, Michigan, and is of Dusun descent. She is fluent in her native tongue of Bahasa Dusun as well as English and Malay. Prior to entering tertiary study at Kolej Matrikulasi Labuan, Nikki attended St. Francis Convent Catholic schools in East Malaysia. While a university student, she successfully auditioned for Malaysian Idol in Kuching, Sarawak, impressing the judges with her rendition of Mariah Carey's Emotions. She eventually progressed through to the 'Final 12' of the competition. Originally planning to continue with her studies after her exit from the competition, Nikki secured a recording contract with Artistes United Records and released her debut album, Maharani, in Malaysia on 2005. The title means 'Empress' in Malay. This album showcases Nikki's abilities in the whistle register, with one critic mentioning it as "whistling a la Mariah Carey." The ballad 'Pinta' marked Nikki's official debut in the music industry. The music video for Nikki's second single, Caramu, has been criticised for bearing similar themes and choreography to various music videos of South Korean singer, BoA. This same song won Nikki and collaborating artist, Zahid, an award for best vocal duo at Anugerah Era 2006, a Malaysian music awards ceremony. Following Caramu, Nikki teamed up with fellow Malaysian singer, Yanie, and both featured in Ning Baizura's August single release, Drama.